For this October Breast Cancer Awareness Month we are Pinking Up our website. Since our announcement last year to support The McGrath Foundation, we have received hundreds of Pink Projects – all thanks to you and our Ambassador, Helen Godden. We are asking you to slow down for one minute and check your breast health this month. Look, Feel and Learn. Here is a little snippet of some of the entries we received – we think you all deserve a huge pat on the back. On the 14th October 2017, we proudly announced the beginning of our association with the McGrath Foundation! What is the McGrath Foundation? The McGrath Foundation aims to make life that little bit easier for individuals and families experiencing breast cancer. They raise money to place specialist McGrath Breast Care Nurses wherever they’re needed, and make breast health understanding a priority. Any purchase from Handi Quilter Australia, will assist Blessington to donate $100,000 to the McGrath Foundation to help provide McGrath Breast Care Nurses. 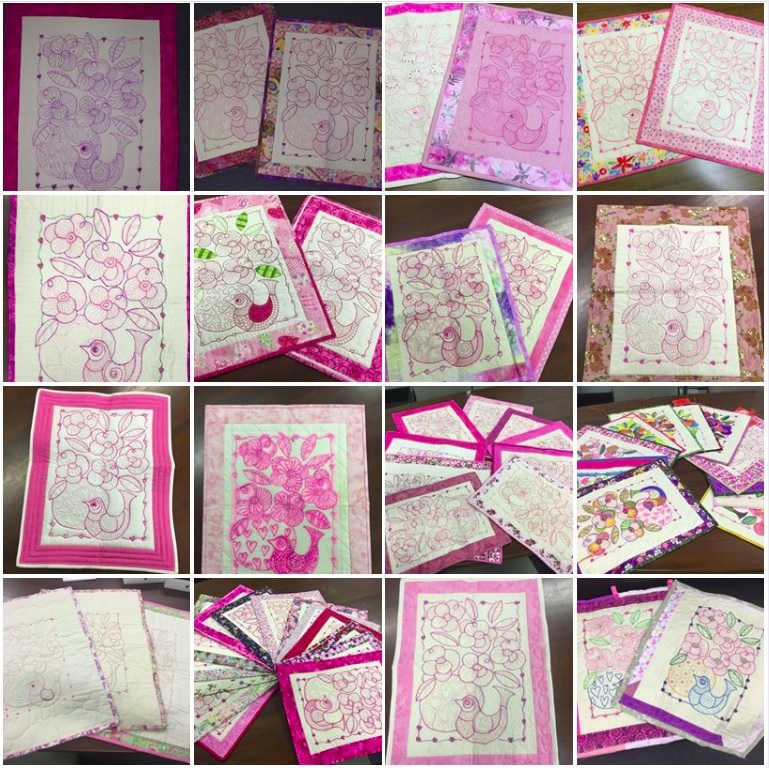 Join the Pink Project for Handi Quilter Australia, kindly provided by our Sweet 16 Ambassador, Helen Godden. Introducing the Pink Project – a free online class experience where you can watch the video instruction and create a similar Pink Project and donate it to the McGrath Foundation. Blessington will distribute these Pink Projects to those who need a little symbol of hope and support from a caring community. Please enjoy this free class and help Blessington and Helen Godden support the McGrath Foundation.